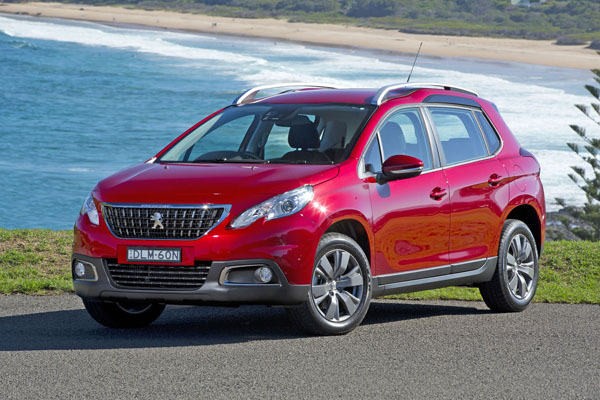 Peugeot 2008 is a small crossover SUV based on the Peugeot 208 hatchback. It arrived in Australia in 2013 and offered an interesting alternative to vehicles that chiefly came from Asian countries. It is relatively conservative in its style, unlike that of what is probably its closest competitor, the Renault Captur which, of course, is also from France. Interior space is good for a wagon of this size, though it’s better suited to couples with pre-teen children rather than four adults. Changes to the seat design in 2017 added a little legroom in the back seats. A controversial feature is the small racecar-style steering wheel. We like the look and feel of it, but there are times when it partially blocks the view of the high-mounted instrument panel. Try for yourself during your pre-purchase road test, but make sure you spend a decent length of time behind the wheel to become accustomed to it. Handling has always been a Peugeot strong point and although the 2008 is no sports car it clings to the road surprisingly well without any loss in comfort. 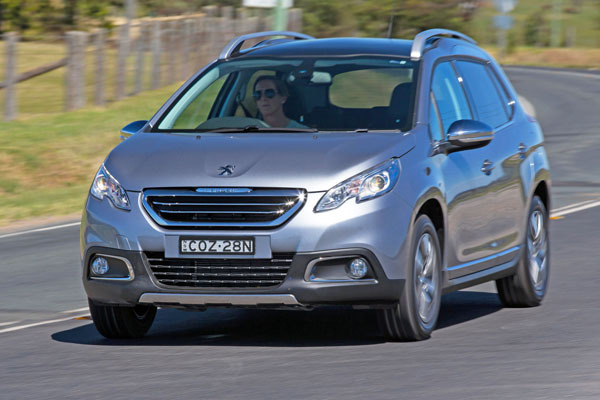 Initially there were three equipment levels, Peugeot 2008 Active, Allure and Outdoor. All have alloy wheels, front and rear foglights, stylish roof rails as well as Bluetooth.The midrange 2008 Allure adds a full-length dark glass roof with a retractable blind, leather trim, heated front seats, satellite navigation, dual-zone climate control and automatic wipers. This is where it gets interesting: the Peugeot 2008 Outdoor adds a semi-SUV system of Peugeot’s Grip Control system. This gives extra traction in slippery conditions and you can select between Standard, Snow, Off-Road, Sand and ESP Off. Grip Control was added standard to Allure with the 2017 model refresh. Despite its semi-SUV looks the Peugeot 2008 comes only with two-wheel drive (to the front wheels). In February 2017 Peugeot 2008 received a solid facelift, a revised interior and a mechanical upgrade. The GT-Line replaced the Outdoor, the others retained the same nomenclature. Peugeot 2008 initially came with the choice of three engines: a three-cylinder 1.2-litre petrol, a four-cylinder 1.6-litre petrol and 1.6-litre turbo-diesel. The 1.6-litre petrol is the only one offered with an automatic transmission. From 2017 all Australian imports of the 2008 received a new-design turbo-petrol 1.2-litre three-cylinder engine coupled with a, six-speed, sequential automatic.This new drivetrain replaced all previous options. From the start the Peugeot 2008 received five stars in European crash testing. The 2017 model has Peugeot’s MirrorLink which displays apps from a smartphone on the 7-inch touchscreen on the centre dashboard, the latter featuring Siri voice control, phone calls, text messages, music and maps to be used without the need to take eyes off the road. 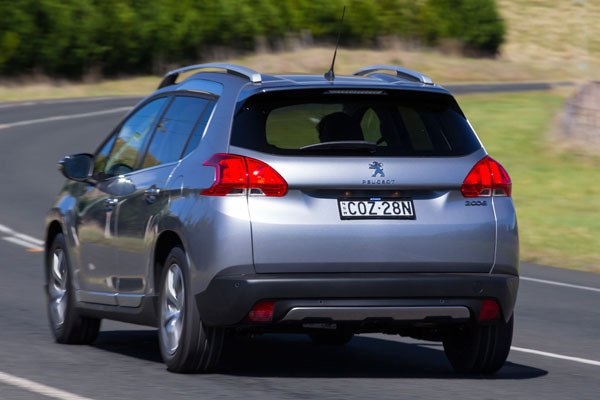 Peugeot isn’t as well represented in Australia as some other European marques. But those who do operate here are often long established and know their products well. It makes sense to check if there’s one near you before committing to a 2008. Spare parts prices are about average for midrange Euro cars and we haven’t heard any real complaints about availability. Less common parts may not be in stock at all dealers but can usually be shipped to them within a few working days. Insurance premiums tend to a little lower than average, perhaps reflecting the fact that Peugeot owners tend to be onto conservative side and don’t crash very often. Like most so-called SUVs the 2008 is unlikely to have been taken off road. However Peugeot did promote its Grip Control system and some owners may have been tempted to try it. Scratches on the paint may be an indication of at 2008 being squeezed through bush tracks. Also look for damage to the lower edges and corners of the bumpers, the door sills and even underneath the body. Check the interior for signs of damage to the luggage area, door and seat trim and carpets. These are often the sign of rough treatment by bored kids or careless parents – or both! Be sure the engine starts easily (the diesel will be slower than the petrols), idles smoothly and answers well to the throttle. Manuals are comparatively rare. Make sure their changes are smooth and quiet with no hesitation during shifts. Automatic transmissions that don’t go into Drive or Reverse promptly, or which don’t change ratios as they should may be due for a service – or have problems. As a semi-enthusiasts car Peugeots are often professionally serviced. A full service history from a Peugeot specialist, or a least a qualified mechanic is a plus. Don’t even think about buying a 2008 without a full inspection by a motorists’ association or a mechanic with experience on these French cars. Expect to spend from $8000 to $12,000 for a 2013 Peugeot 2008 Active; $10,000 to $15,000 for a 2015 Active; $11,000 to $16,000 for a 2013 Outdoor; $12,000 to $18,000 for a 2015 Allure; $15,000 to $21,000 for a 2017 Active; $18,000 to $24,000 for a 2017 Allure; and $18,000 to $25,000 for a 2017 GT-Line. If buying privately ask for proof of ownership of the vehicle and make sure it is covered for you taking a test drive.